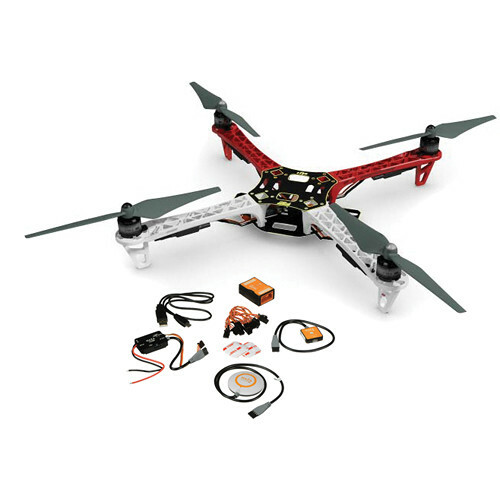 The Flame Wheel F450 with Naza-M V2, GPS, and Landing Gear is a bundle from DJI that features a number of key components required when building your own quadcopter from scratch. If features the Flame Wheel F450 airframe (ARF) with landing gear, the Naza-M V2 flight control system with GPS, motors, ESCs, and a set of props. The Flame Wheel serves as the platform for the rest of the hardware to be installed on, including the bundled Naza-M modules as well as any accessories - such a video transmitter for FPV or iSOD unit - you may want to add. The Naza-M V2 acts as the brains of the aircraft, managing pilot input and interpreting data from the various sensors, helping maintain a stable flying condition. There are four components to the system. The MC (main controller) houses the flight computer and is at the heart of the flight control system. Then there is the PMU (power management unit), which serves to regulate how much power is sent to each of the four, six, or eight rotors. Next is an LED unit for status display, which features a micro-USB port for connecting the Naza-M V2 to a computer when configuring or testing using the Windows assistant software. Finally, a GPUs receiver/compass combo is included, which enables a number of features, including Intelligent Orientation Control (IOC) and the Go Home failsafe. Please note that this bundle is not a complete solution. In addition you will need a radio system such as the DT7, flight battery and charger, connection cables, and possibly other components, depending on the capabilities you require. Box Dimensions (LxWxH) 11.1 x 6.5 x 2.6"
Flame Wheel F450 with Naza-M V2, GPS, and Landing Gear is rated 4.0 out of 5 by 4. Rated 5 out of 5 by dronemaster from Great product for learning how to build and program We use the flamewheels to teach high school students building and programming a quadcopter. This is more than basic, but not too difficult for a first project. Rated 5 out of 5 by quifo from drone kit have not assembled it yet looks ok.
Is this a DYI Copter? Yes. You need to build it by yourself and also to buy the the trx, battery &amp; charger .Hope this would help . It's one good copter for those want to dyi. How much wight can it hold? Hi, Does any one knows what motor and ESC are included in the kit ? 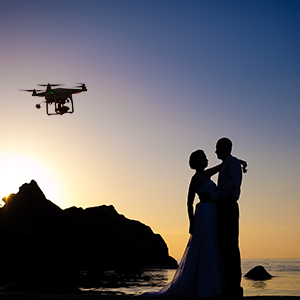 What are the DJI motor spec? Does any one know which motor and ESC the kit includes ? What are the specs on DJI motor ? Can one fly this rig from a mobile phone ? Hey Pierre. Although many things are possible with this kit, it is unlikely that there is a way of accomplishing what you are asing. Great question, though. What is the unloaded max ascent speed, descent speed and max speed? Can someone suggest a good radio controller to use for this drone? Hello. The ascent speed of the Naza-M V2 is 6 m/s and the descent speed is 4.5 m/s. Maximum speed is approximately 15 m/s. 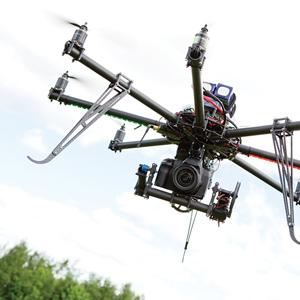 The DJI DT7 is a compatible radio controller for use with this aircraft. Thanks. What is the battery connector type? Ex. Deans, XT-60, Banana, etc. Do you need to seperately buy the Radio Transmitter and Receiver to go along with this? The transmitter is not included however there is a radio receiver within the Naza control flight system. The Naza-M V2 can be paired with any PCM or 2.4GHz with minimum 4 channels.